Focus on athlete safety- invest in safer turf field with Cushdrain. Helix (H) technology has memory and tenacity, similar to a muscle fiber, that allows it to bounce back after use. 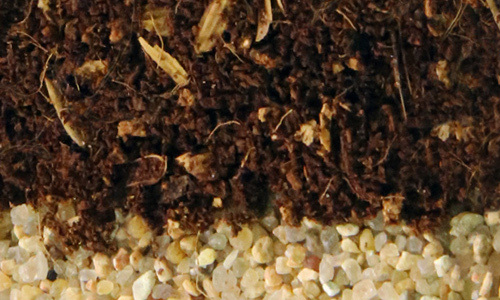 The unique shape of the Matrix Turf with Helix technology makes it the most resilient, stable, and durable monofilament fiber in the market. Click here to find Matrix Turf installations in your area. Read the Thank-You Letters from the Third Grade Class at St. James Cathedral School about their new Matrix Turf with Geo Plus field. 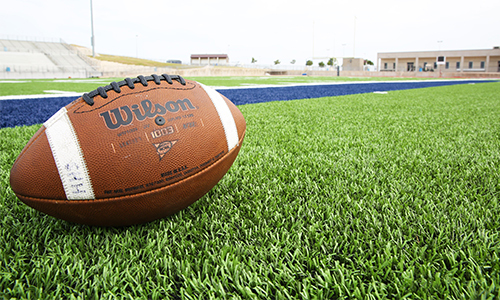 Hellas offers specific synthetic turf options to meet any athletic field needs. Infill plays an important role by helping to create a uniform, predictable playing surface on any artificial grass turf field. Shock pads will add an extra layer of cushion and safety to your turf grass system. 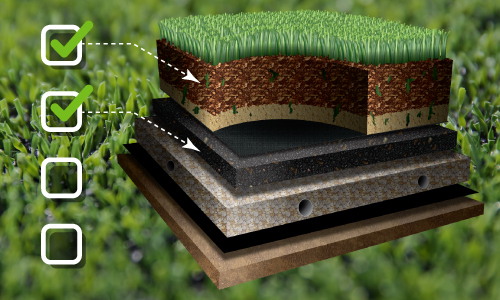 Learn more about system specifications by taking a closer look at each layer that makes up our artificial turf systems. Whether it’s football, baseball, soccer, field hockey, or multi-purpose, Hellas has the artificial turf grass to fit your project. 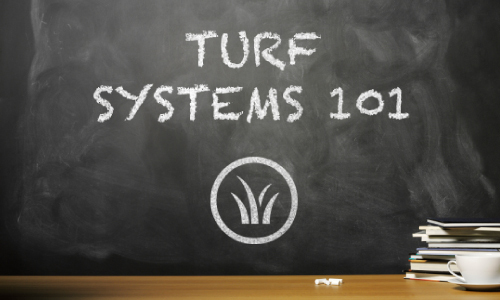 A quick guide to find an optimal turf system that fits your needs. Matrix® Turf sets the standard when it comes to artificial grass turf systems for your sports venue. Every detail of the products components, manufacturing, installation, and after-sale service have been thoroughly considered to ensure that each new partner with Hellas has a completely positive experience and is thoroughly satisfied with their turf grass installation. Artificial turf grass offers multiple benefits for sports surfaces, playgrounds, landscaping, and school grounds alike. Matrix Turf is the best synthetic turf available, allowing you, the customer, to spend less time maintaining your grass and more time enjoying and utilizing your sports surface. Artificial turf requires significantly less water usage, and has been designed in a way to aid in the turf draining of natural rainwater due to inclement weather. In addition to being a low maintenance product, which assists with long-term cost effectiveness, Hellas’ artificial turf grass offers many sport-specific advantages for your school or community. With grass turfs, you never have to worry about an uneven surface or patchy grass growth. Before Matrix Turf is installed, specialized crews inspect, and prepare or repair the underlying surface to ensure stability. Once the groundwork is finished, the sport-specific artificial grass turf that you have chosen is precisely installed according to the customer’s exact specifications. After perfection is confirmed, the seaming and infill placement occur. Customers are allowed continual access to the construction site, to answer any questions that may arise during the turf installation process. The Matrix Turf system as a whole, including the base mat, turf, and chosen infill, provides athletes and community members stable footing, ensuring a safer playing experience. 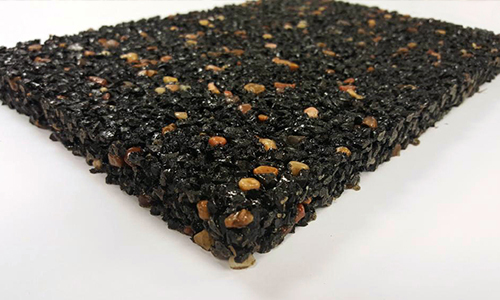 Hellas also offers an advanced elastic layer, Cushdrain®, which is placed over the laser-graded drain stone foundation. Cushdrain is composed of non-toxic components and increases the shock absorption upon turf impact, adding to the safety of your children and athletes. Every sport is different, so Hellas has developed multiple systems to ensure that there is an optimal system for every sport and usage. With different pile height, fiber shape, color, and infill options, Hellas is able to tailor a system to your specific project size and needs. 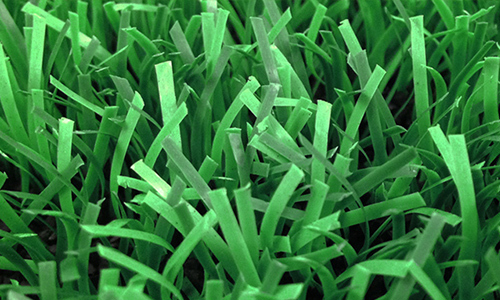 Hellas prides itself on being a unique, high-quality supplier in the market of synthetic turf. In addition to being a distinguished turf company by developing unique and exclusive synthetic turf systems, Hellas tests, delivers, and installs the in-house developed synthetic turf fields. Previous clients and partners have testified to Hellas’ superior after-sale service, and customer service as unparalleled by other turf companies. Communities, schools, and athletic facilities across the nation who have used turf fields in the past are always looking for cutting-edge technology to advance their synthetic turf fields and offer athletes and the community the best and safest playing surface available on the market. Hellas is always on the cusp of advancements and pushes a green initiative with all synthetic turf products that are developed, striving to reduce the carbon footprint. Hellas was the first out of all other turf companies to remove isocyanate and solvents out of the field installation process. Hellas’ products contain no heavy metals or toxins, providing environmentally friendly synthetic field turf. After synthetic turf installation, Hellas will build a lasting relationship with the new partner to ensure that the turf field is well cared for and lives up to the expectations promised.